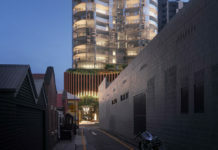 Mirvac, has announced its intention to fast-track the public release of its highly anticipated Unison development, following an unprecedented level of interest. The development will comprise of two towers, Unison North and Unison South which have been oriented to optimise both river and city views, with a range of apartments benefiting from views of the river, city and the development’s landscaped podium. Strong interest in Mirvac’s latest apartment release has led to predictions that the 135 one, two and three-bedroom apartments plus a special release of 9 terrace homes, will sell faster than expected, meaning that stage one of Unison will be launched to the public earlier than anticipated. With the Brisbane property market tipped to hit $400bn this year1, Mirvac Group Executive Residential, John Carfi, is confident that Unison sales will exceed all expectations. 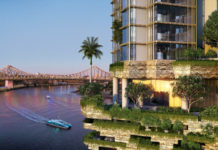 Unison is the third stage of Mirvac’s premiere Waterfront precinct which includes Pier and the now entirely sold out Park Apartments, as well as hectares of public parkland and an 8,000m2 perched lake. 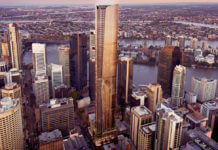 Resulting in one of Mirvac’s most successful years to date, the Waterfront, Newstead development has already delivered $350 million in sales, with all signs indicating another successful result for Waterfront’s third stage, Unison. Mr Carfi said Unison’s popularity was a result of increasing market demand for an affordable, yet sophisticated, urban dwelling in one of Brisbane’s most sought after areas. “Unison offers homebuyers a rare opportunity to live and invest in the rich history of Teneriffe, while enjoying all of the comforts of inner-city living and modern design,” he said. “The development offers the ease of city living coupled with a local community feel, which we know is important to those looking to buy in this popular pocket of Brisbane. “We have had overwhelming interest from predominantly local buyers who understand the unique opportunity and value that Unison presents. In fact, over 90% of interest has originated from Queensland with over 40% of registrations coming from the immediate area of Newstead which means locals are embracing this exciting and emerging new address. 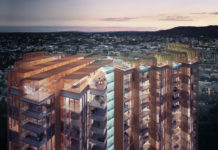 The unique architectural features will be anchored in an exclusive 4,000m2 elevated sub-tropical garden incorporating a lap pool, plunge pool, outdoor kitchens and entertainment areas, plus gym and health and well-being zones. With its close proximity to the CBD and within just steps of the trendy Gasworks and James Street precincts, Unison boasts one of Brisbane’s most enviable residential addresses. Unison is expected to open to the public on July 19. Visit unisonbymirvac.com.au for more information.